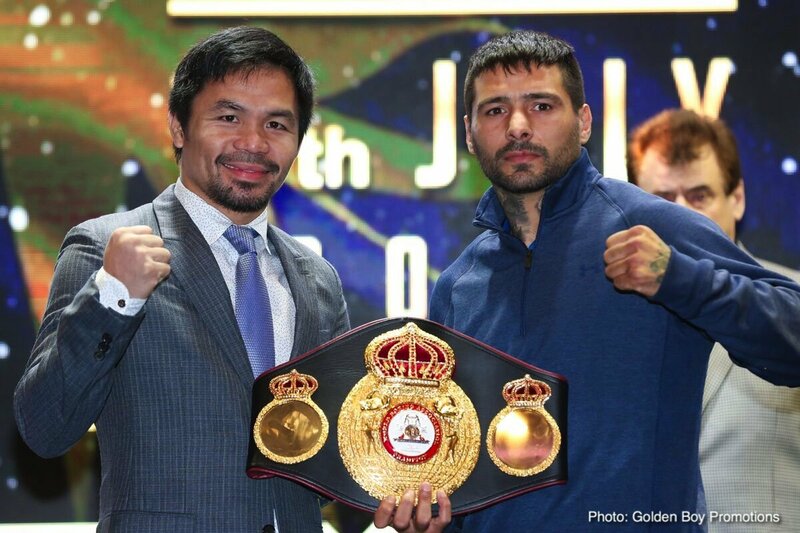 Manny Pacquiao did not just knock out Lucas Matthysse in their exciting fight in July, Pac Man knocked all the remaining fight out of the 35 year old warrior. Matthysse today officially announced his retirement from the ring. Matthysse, 39-5(36) made his announcement via his instagram page. An exciting, thrilling warrior in his prime, Matthysse, who turned pro back in June of 2004, met top names at both 140 and 147, including: Vivian Harris (a stoppage win), Zab Judah (a close decision loss), DeMarcus Corley (a stoppage win), Devon Alexander (a close decision loss), Humberto Soto (a stoppage win), Ajose Olusegun (a stoppage win), Lamont Peterson (a crushing stoppage win, arguably the most impressive KO win of Matthysse’s career), Danny Garcia (a wide decision loss), John Molina Junior (a thrilling stoppage win), Ruslan Provodnikov (another war, and a decision win), Viktor Postol (a TKO loss) and Pacquiao. Matthysse was stopped just twice, by Postol and by Pacquiao, and his rumbles with Molina, Provodnikov and Garcia were crammed full with action. Matthysse didn’t quite do enough to have a realistic chance of one day being enshrined in The Hall of Fame but he sure made his mark on the sport in a big way. Very much a fan favourite in the way his countryman Marcos Maidana is beloved (and what an all-out war that fight would have been! ), Matthysse can walk away from boxing with his head held very high. It’s possible Matthysse may change his mind on his retirement and attempt to come again, but at age 35 (36 next month) and after being badly beaten by Postol and by Pacquiao, Matthysse seems to have made the right decision in walking away. Let’s hope his retirement sticks.